That is awesome, Tony. 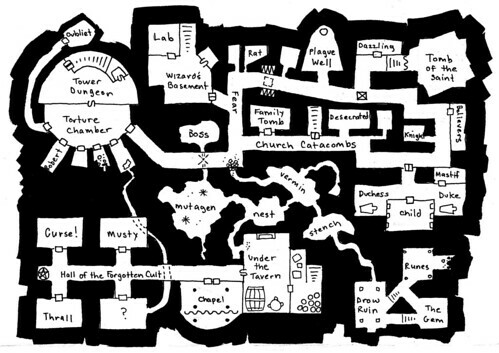 I think I would prefer to save my money to commission you to draw a dungeon to my exact specifications for a DW module. Do you do work like that? Yeah I totally do! I'm really crammed up with work and life right now, but I'll be offering commissions sometime a little ways down the road. 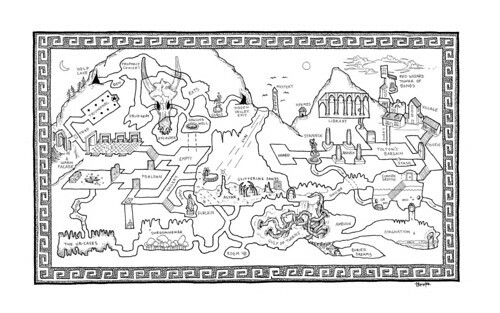 You forgot to mention that Sage and Adam also create a Front for the dungeon map, which is included in the PDF version of the map.